The Indigo New Language Speed-IF a couple of months ago challenged people to write games in languages they hadn’t used before, based somehow around the theme of Indigo. I don’t do a lot of Speed-IF these days — I have less time than I used to, and it’s seldom that the parameters suggest to me an idea I think would really be a fun, solid concept. However, this particular challenge was based around something I had been meaning to do anyway (try writing something in TADS 3) at a time when I happened to have temporary access to a Windows machine on which I could run the TADS Workbench. The name “Indigo” suggested a game in the same series with Bronze, Alabaster, and Glass, and I happened to have a puzzle mechanic in mind that I’d been wanting to try out for a while but didn’t think was extensible enough for a full-length game. So I gave it a try, and it was a good time. There was enough guidance in the library and Eric Eve’s manuals that I was able to get my idea up and running, with several complete puzzles, in the couple of days I had available for coding. I also tried to go with the grain of the library and capitalize on the strengths of the system. Much of the puzzle design is essentially found art: I found library classes that looked promising or that I just wanted to try out (the candle, the odor that announces itself when the containing object is opened, various types of travel connector) and then spun puzzles around them. I think it would have been harder for me to finish in the time available if I’d gone in with a more specific design in mind. The result is inevitably rough-cut. There wasn’t time to run a beta-test, and the about text mendaciously claims there are hints (because I was planning to do that with the hint class provided, and then got confused and totally ran out of time). And thanks to the weird conditions under which I wrote it, it would be hard to release an update. 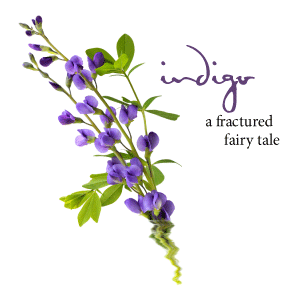 I’ve never had much luck setting up TADS 3 on my Mac laptop (possibly thanks to user error); the Windows machine where I wrote Indigo was borrowed and is no longer available to me. On the other hand, Indigo has a puzzle mechanic that I’m pleased with. I’m less sure that it is effective at telling the story I had in mind — a version of Rapunzel that entirely omits the prince — but the most important elements are there. People who played it on ClubFloyd told me they enjoyed it, even in its current condition. So, not a major release and not one that conforms to my usual expectations about testing and polish, but for the people who have expressed interest, it’s here. This entry was posted in announcements, interactive fiction, new work by Emily Short. Bookmark the permalink. This game taught me how to spell “millennium” correctly! The central mechanic is lovely—both the concept itself and the evocative way in which it’s described—and very nicely hinted. I could imagine it playing a role in a longer game, especially if there were some cost or difficulty involved in using it. It feels like something that perhaps ought not to be as easy to do as it is for the protagonist of this game. Heh. I enjoyed that a lot. I can’t say I *spotted* the mechanic – I sort of needed the hints for that – but once fathomed it all flowed rather beautifully. I’ve been writing so much choice-based stuff recently I’d forgotten how nice “use object on object” can be, when done with enough magic. The last line was grand. Durrrrrrr I keep getting stuck because the window miraculously reformulates even after I kill it. I’ve not heard of anyone running into this problem before, so I’m not sure what to suggest. I assume that ENTER WINDOW, etc., aren’t working for you in its new condition? Ahahaha I guess all I needed to do was ignore the description and proceed. The only other tangle was that I kept trying to, shall we say, tie up the details of the escape before actually attempting — which it seems is unnecessary. Anyway, I did love the idea of this game so very, very much. It’s a pity you probably won’t be able to polish it up! Yeah, I know what you mean about the other thing you tried to do. That was something I ran out of time to implement as well, so I just left it as unnecessary. I had the same problem. For me, what happened was the window’s description didn’t change, so it seemed as though it has returned to its previous condition. Actually, its only the description that hasn’t been updated. Acting as if what you did to it worked as expected gets you to the end of the story. OH. I see! Haha, I guess my caution was my downfall this time. I loved the concept. You gave enough of a nudge at one point to get me to see what you were up to, then it went pretty smoothly after that. Kudos.